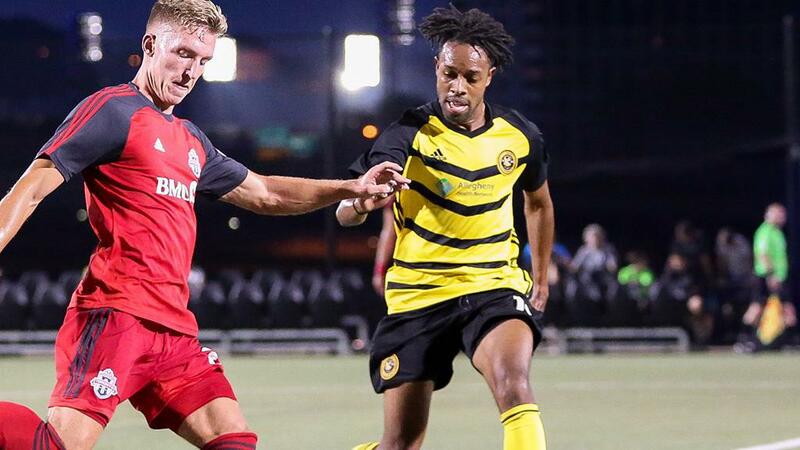 RICHMOND, Va. – The Richmond Kickers are pleased to announce the signing of Jamaican born forward Dennis Chin for the 2019 season, pending USSF and USL League One approval. Chin is coming off a 2018 campaign with USL Championship side Pittsburgh Riverhounds SC. Prior to that move, he spent 2017 in Israel, playing for Ironi Nesher F.C. in Liga Lemuit, scoring on five occasions in 29 matches. The Kingston, Jamaica native had stints with Arizona United SC in 2015 followed by Ottawa Fury FC in 2016. The forward knows what it takes to be successful, having claimed two league championships and three regular season titles over four seasons with Orlando City SC between 2011 and 2014. He netted 22 goals throughout his time in Orlando, including claiming the Golden Boot in his second season with 11 goals. Chin was a finalist for the league MVP and an All-League First Team selection that same season. Chin moved with his family to the United States at the age of 11, before settling in Orlando, Florida three years later and attended Oviedo High School. A product of Rollins College in Orlando, Chin scored seven goals and added 3 assists in both his junior and senior seasons. During his time with Rollins, he featured for the Central Florida Kraze, having 10 goals over 56 appearances. His family has strong roots in growing the game in the United States. Chin’s father was one of the initial investors into Orlando City SC and his brother Jhamie is currently the Director of Communications for the Chicago Fire.